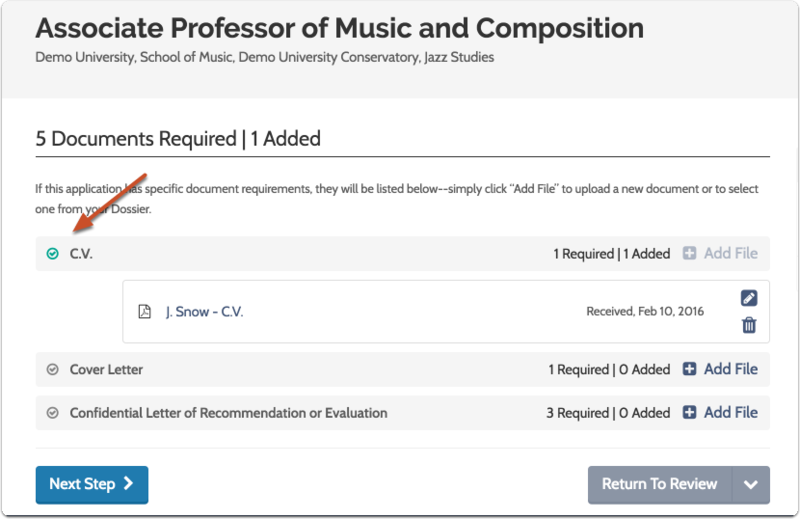 When creating or editing a position Administrators and Committee Managers can indicate the materials that must be submitted with all applications to the position. Applicants can upload these documents and submit them electronically when applying for the Faculty Search position through the "Apply Now" page for the position. 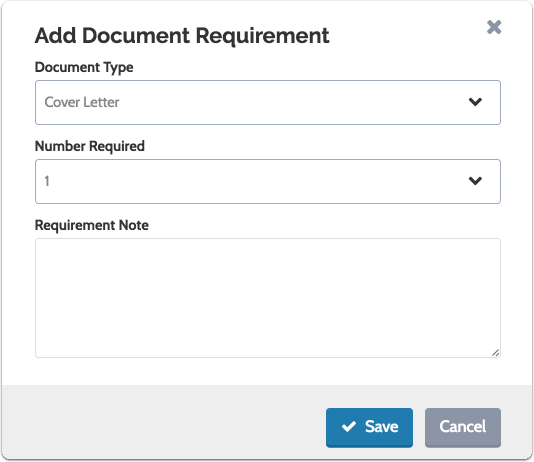 This article explains how to create and edit document requirements and gives some context for administrative users about how document requirements are presented to the applicant and the process of satisfying those requirements. In addition, we recommend that Administrators and Committee Managers familiarize themselves with the process of applying for a Faculty Search position. 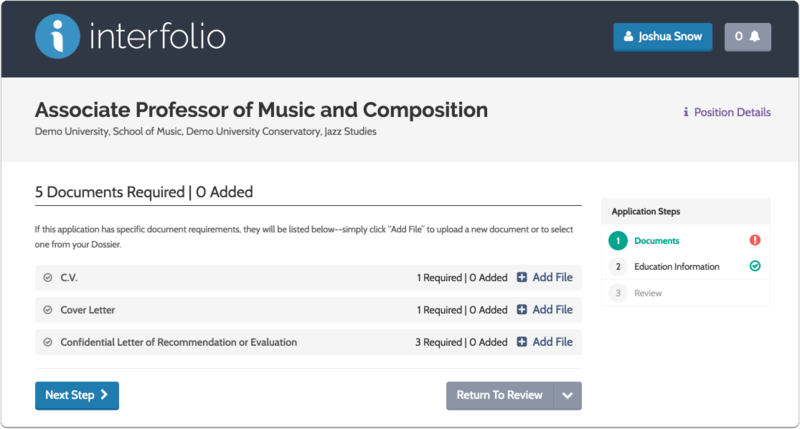 For more information on the applicant experience see our Job Applicant's Guide to Interfolio Faculty Search. 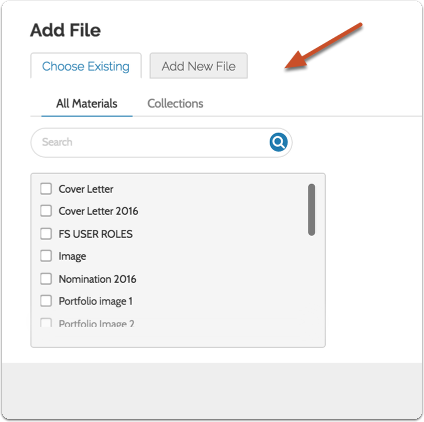 See here information on setting document requirements when creating a position. 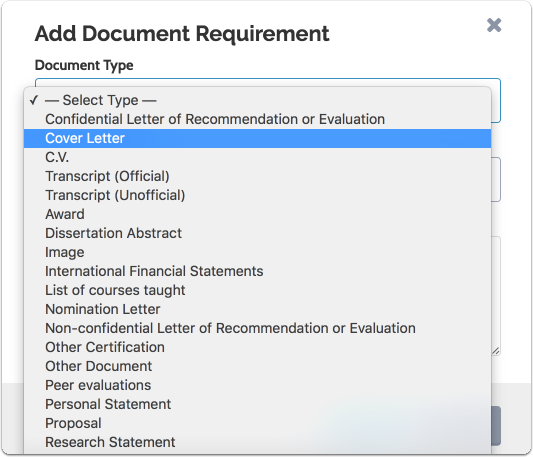 Clicking the "Required Documents" link on the Review Positon screen takes you back to the screen above where you can edit document requirements. For more information, see the help article that covers how to edit an existing position. 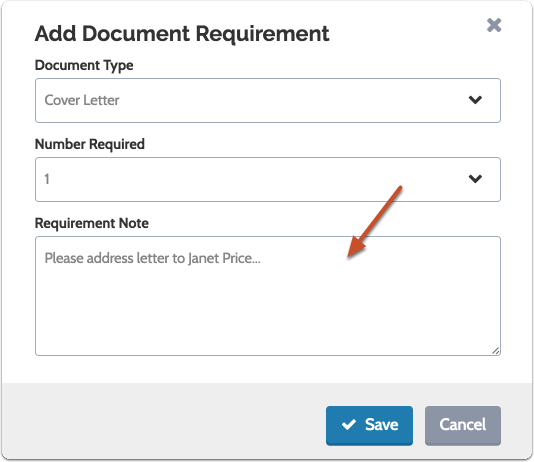 Zoom: Clicking the &quot;Required Documents&quot; link on the Edit Positon screen takes you back to the screen above where you can edit document requirements. For more information, see the help article that covers how to edit an existing position. 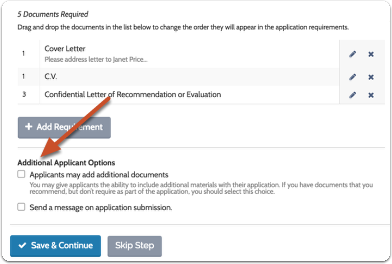 To add or edit required documents click "Add Requirement"
You will be presented with a list of typical documents such as cover letters, C.V., transcripts, and letters of recommendation. 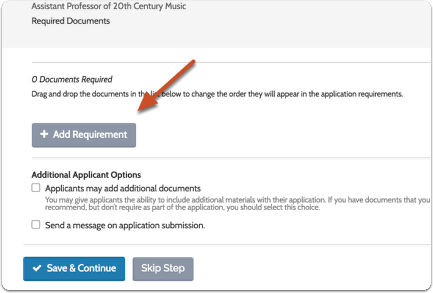 The "Number Required" sets the number of individual documents the applicant will need to upload to satisfy the requirement. If, for instance you want three references, but want them in one document, you will need to set the number required to one, instead of three. 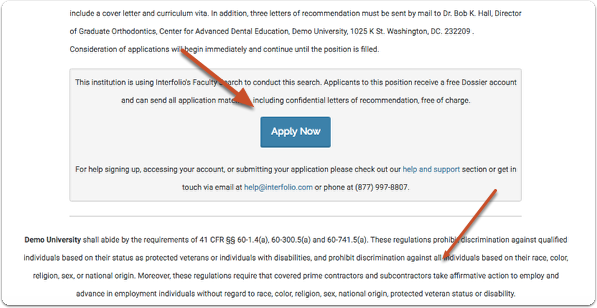 Applicant's will apply through a link on your position announcement. 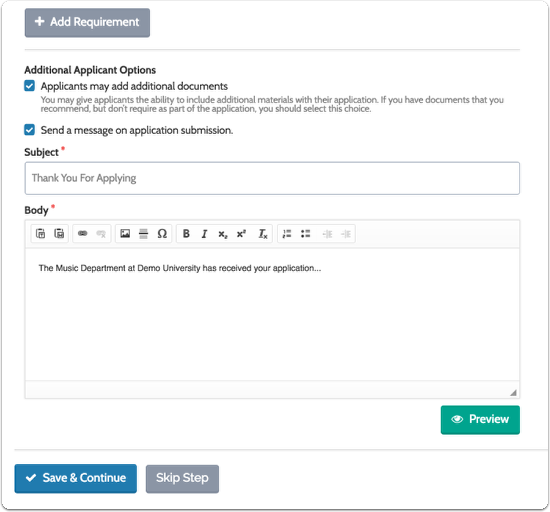 Note: The "Number Required" applies to the number of individual documents the applicant will need to upload to satisfy the requirement.